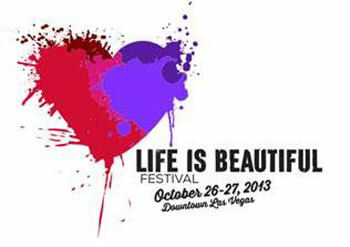 Life is Beautiful Music Festival announced the official artist lineup for the third edition of the music, food, arts and learning festival in Downtown Las Vegas September 25-27, 2015. In partnership with Another Planet Entertainment and Insomniac, Life is Beautiful will return to Downtown to provide festival- goers an exciting experience of world-class cuisine, extraordinary art and some of the world’s biggest musicians. Life is Beautiful (L.I.B.) Festival announces the lineup for the inaugural music, food, art and learning festival taking place Saturday, October 26th and 27th, 2013. 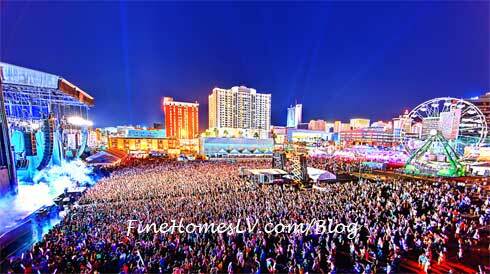 With more than 50 musical acts, 60 chefs and restaurants, special performances by Cirque du Soleil and other theatrical productions, world renowned artists and over 25 noted speakers, L.I.B expects to attract tens of thousands of people to Downtown Las Vegas.